Last month I posted photos of the ATCs (Artist Trading Cards) I made for this year's Embroidery Association of Canada's annual ATC swap here. Yesterday I received a package in the mail with the ones I got back so here they are! From Camy P. of Nipawin, Saskatchewan. 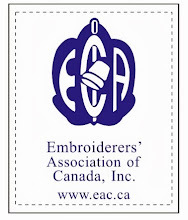 From Mary-Wyn T. of Barrie, Ontario, who is a member of Simcoe County Embroidery Guild. From Christine P, age 15, of The Tangled Threads of Nanaimo, British Columbia. By Marly G of Longford Mills, Ontario, a member of Simcoe County Embroidery Guild. By Colleen D. of Orillia, Ontario, who is also a member of Simcoe County Embroidery Guild. I couldn't be happier about receiving these tokens of friendship from these talented members of EAC. It was a special treat to receive one from a member of one of the Youth Chapters - the future of our art! It was also neat that we had a guild in Australia join in the swap this year! I love them all - I couldn't pick a favourite because there is something so special about each and every one. Much thanks to all the ladies who went in this swap this year - there were 306 ATCs created by 79 members from across Canada, including 2 Youth Chapters and the guild from Australia. Thank you to Laurie who left a comment on my last post suggesting we needed a logo to help spread the word about the quilts being created to raise funds to aid in the recovery in Sendai, Japan, and to Leslie who created it! So, please copy this and take it away to your own blog, your facebook page, and anywhere else you can think of to help spread the word about these quilts! When you add the photo please link back to the guidelines posted here or here. THANK YOU! This is Cathy, modelling a kimono that Hideko brought as a gift to the last CQI Stitch Shenanigans retreat. The lovely lady with the sweet smile lending Cathy a helping hand is our dear crazy quilting friend, Hideko. I showed you these photos so you could see our friend, Hideko, from Sendai, Japan. I think it helps to put a face and name to the people of Sendai. Kind of makes that tv stuff a little more real, doesn`t it? At CQI, we are sponsoring a project to generate funds for the recovery effort in Japan. Our dear friend Hideko Ishida is fortunately safe along with Emiko, another stitching friend. We continue to keep her in our thoughts as she waits to hear about her family. This project is open to everyone in the quilting community who is interested in participating , both traditional and crazy quilters. I am posting the guidelines here. Please contact Leslie privately at pinyoncreekq@q.com if you are interested in creating a block for a quilt so she can add you to the masterlist! Please feel free to utilize this post on your own blog to help in spreading the word!!! This project will be dedicated to helping those affected by the earthquake and tsunami disaster in Japan. As per Hideko Ishida's request, all quilts will become a part of an exhibit in Japan where money will be raised by viewing the quilts. Ultimately, these quilts may be auctioned and the proceeds given to a charity designated by Hideko Ishida, our Japanese CQ Sister! We will keep everyone informed as time progresses. This project is open to the quilting community at large! 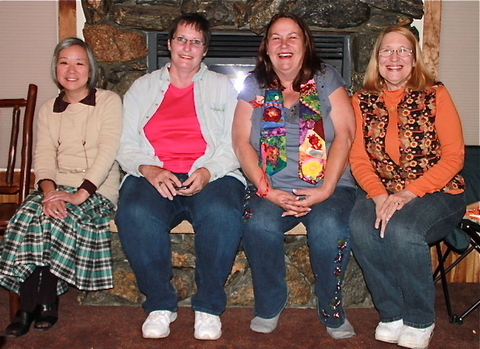 You may track details on the Crazy Quilting International blog, or the ICQA Facebook page. For traditional quilt blocks, there are no pattern restrictions. The only requirements are the size and the colors. Finished size is to be 8 inches (20.32 cm). Please allow a half inch seam allowance. Colors are jewel tones. No restrictions to the type of fabric used. -cut foundation at 9 inches (22.86 cm), piece the entire foundation. -Zig zag edges to prevent edges from fraying. -Add your name and address on the back of the block. -Prefer all fabrics used be “fancies” (ie: silk, satin, taffeta, velvet) but if you have some kimono fabrics or other oriental themed fabrics in your stash you are welcome to use them. 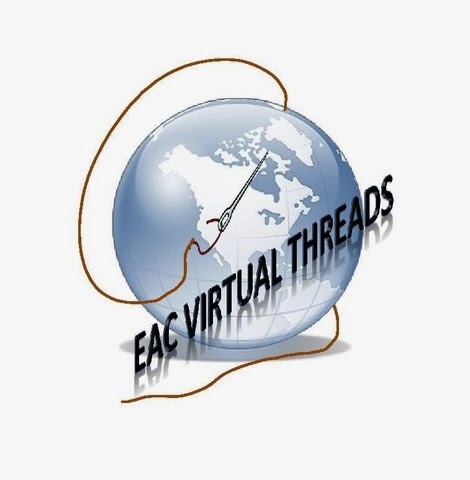 -All beading MUST be double stitched and knotted with BEADING THREAD!!! NO exceptions!!! These items will be handled a great deal and beads, buttons, charms are among the first to begin to loosen. Embellishments – may be done by machine or by hand. Please refrain from using any reference to the rising sun. This has political connotations in Japan that are not appropriate for these quilts. If you have any questions, at any time, please just email the coordinator of this effort, Leslie, at pinyoncreekq@q.com. All completed projects will be mailed to Leslie no later than June 30, 2011. Please contact Leslie for mailing address information. We are asking for an entry fee of $10.00 dollars for each block. This fee is voluntary and will be accrued and forwarded to either Hideko or a charity of her choosing. 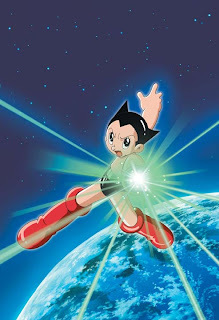 This is to generate funds to help Japan as much as possible. The fee may also apply to several individuals or to an entire group. Funds can be sent by cheque, money order (payable to ICQA) or Paypal, icqa4u@yahoo.com. Please check gift for the donation. We appreciate everyone’s participation and look forward to seeing all the fabulous creations! Ta-dah! My second AAQI (Alzheimer's Art Quilt Initiative) quilt is done and going off in the mail tomorrow! Here it is! This one is called "Asian Dreams" and I worked on it throughout the long hours after the earthquake in Sendai and the ensuing tsunami, while all of us at CQI were waiting to get news of our dear friend in Sendai. So, this little quilt is dedicated to Hideko and everyone in Sendai and Japan as a whole who are recovering from the devastation. The block itself was made by a crazy quilting friend and was delivered wrapped around my Christmas cracker in a CQI exchange a couple years ago. So, all I needed to do was the embellishing, embroidery and finishing. All the seams are done with Japanese silk buttonhole thread. The large metal face, the coins, the butterfly and the fan are all "found objects". The butterfly is a broken jewelry pin, the face was a bookmark and the fan was an earring. I used needle weaving to attach the coins which worked quite well. Two seams are covered with gold ribbon couched down. The fan had small holes which allowed me to attach it with stitches and then I used the same thread to create a little tassel for it. The beautifully dyed lace flower motifs came from another CQI swap. The stitching all went well and helped to pass the hours before we heard Hideko and her family had come through the earthquake safe and sound. Thank Goodness! One last picture - since finishing is not my forte, I am quite proud of the fact I managed to finish this off pretty well with a teensy batik binding, an Asian style cotton print on the back and the little fabric triangles for hanging. The label was from a fat quarter, Moda I think, and I used wonder under to fuse it to the back of the quilt and used permanent ink to add the pertinent information, including the registration number. Did you know that AAQI, the best little grass roots fundraising organization for Alzheimers, has raised over half a million dollars for research now with these little quilts? A lot of people doing a little bit can accomplish a lot! This stitch gets its name from its appearance - can you see the little bull's head there? It can be worked on a horizontal or vertical seam - I chose to do a vertical line of them and I like the way they look. A short tutorial follows in the next post. Have fun with this one! Yesterday I made a group of buttons for the button swap at CQI. These are all decoupaged using Kate Greenaway illustrations. To make it simpler to attach them, I have done all of them on shank buttons. This is the whole grouping - seven to swap and the rest as a hostess gift for our swap coordinator. These Kate Greenaway illustrations are so charming - I enjoyed making these. Hopefully the girls who receive them in the swap will enjoy them too! This the the little 6 inch block I embellished for Cathy K in the Tea Time DYB round robin we are in together at Crazy Quilting International. The seam treatments are all done in Japanese silk buttonhole thread. The two little butterfly charms were cannibalized from a bracelet I found at the thrift store. I used tracing paper for the writing on the block by writing "Tea for Two" on the tracing paper and then basting the paper to the block. I embroidered through the tracing paper and then removed it from around and under the stitches. I posted this picture of some lace bits a few days ago as a "teaser". They were the basis for the parasol, the main motif on this block, seen below. To create the parasol, I cut out each individual little segment of lace from motifs on hand and sewed each one done, assembling the parasol as I went. I started with the spines and then the outer edges. I couched down some braid to create the handle and then added lace leaves, flowers and a butterfly to embellish the handle further. I cut a larger piece of lace for the top of the parasol and manipulated it somewhat to make it lay where I wanted it. A few flower pieces finished it off, hiding some of the joins there weren't as nice as I wanted. I painted the entire motif with All-Purpose Ink for Fantastix in #70 Vegas Gold. An iron was used to set the colour. A few glass pearl-like beads in the center of the flowers finished things off. This week's Build a Seam (BAS) Challenge is something a bit different. Instead of a new stitch, it is a different way of using an old stitch. This week we will use chain stitch in much the same way as we used the meandering ribbon we have done in Week 30. There is a good tutorial for basic chain stitch in Sharon B's Dictionary of Stitches here. This sample is from an antique piece of embroidery and was used to attach a piece of embroidered gauze to a silk dresser scarf. After fifty plus years it is still serving this purpose very well. So, this technique would be very appropriate for a seam that is in need of stability from it's treatment instead of embellishment alone. By meandering back and forth across the seam in a random manner (much like stippling in traditional quilting) with a line of chain stitch, you can do a lot to strengthen the fabric join. Using a variegated thread as in the sample photo adds more interest and beauty to the stitching. I hope you'll enjoy this week's challenge and I'm looking forward to seeing how you use this in a seam treatment. Have fun! Under the Sea DYB Round Robin (CQI) - My Blocks are Home! My round robin blocks arrived home so I am happy to share photos of them here. UTS (Under the Sea) is a very fun theme to work with and the other ladies stitching in this round robin have done such beautiful work and let their imaginations fly! This first one was stitched for me by Nicki Lee. The photo does not show the richness of the colours properly and for that I am very sorry. I think Nicki Lee's greatest gift is with colour and I wish I could convey it properly. The focal point is the wonderful sea creature in the top right corner. He is very tactile with his raised fuzzy and beaded body! I have no idea how he was accomplished - wish I did! Nicki Lee created a wonderful encrusted sea floor for me with a glorious mass of hand dyed lace, beads, shells, charms and embroidery stitches. The sea plants are wonderful - make sure you see the beautiful painted seahorse charm hiding in the weeds! This next block was embellished by Beryl. The sea floor in this one is another winner with a wonderful gauzy material as the base and additions of beads, buttons and charms. The starfish is dazzling and keeps glittering and flashing as the light catches it and the sand dollar made me very happy. I always loved finding these on the beach when I was a child although I was never lucky enough to find an intact one - the Atlantic was too rough to bring them to shore in one piece. I love the ribbon weeds - the colour of this ribbon is very intense and just perfect for the block. Behind it you'll see Beryl's embroidered fish - the star of this block! This beautifully embellished block was Carolyn's creation. There is so much to admire here! The hand dyed lace makes a wonderful frame for the block with the charm, shell and bead additions. The seahorse if very delicately embroidered - such attention to detail! I really enjoy the purple beaded sea plant. Again - the colours are just popping! How cool is that school of fish too? lol You can't see it really clearly but the mermaid charm has a swivel at her waist so her bottom end seems to move with the current of the water. Carolyn was so generous to share such a great find with me. Thanks Carolyn! This block was embellished by Ritva and I always learn so much from looking at her work. It is always inspiring! The jellyfish creature in the top left corner is a wonderful mixture of fibers - ribbons, threads and metallics all put together in a burst of colour. My favourite elements here are Ritva's use of tatting - check out the sea creature with the blue bugle bead body - you can almost see those tatted tentacles rippling as he makes his way through the water! White knots make up great growth at the base of the block - it looks like coral to me - and it is very effective when you see it in person. Another great idea to "borrow"! Alice found a lovely fat fabric fish to attach to my block and he is the focal point here along with the wonderful starfish charm. I'm not sure if you can see the details in the photo of the metallic stitches added to the fish, the purple beads along one of his stripes or the glass bead air bubbles trailing away from his mouth? If you click on the photo to enlarge it, you may be able to see these details. There is a tiny little fish charm near the center of the block - so small but so perfectly formed! And of course, Alice has been kind enough to give me lots more of the seaweeds I love so much - it fascinates me to see how everyone creates so many different kinds with different stitches and fibers. Thank you all for your generous contributions to my blocks - I am very, very happy with all the stitching you have gifted me with! So, this is my challenge now - to embellish the remaining block so it blends with and compliments the others! I will certainly post a photo of what I come up with when I get it done. And here you can get an idea of what the blocks look like together - the five completed ones as well as the one left for me to do. They really do cry out to be finished! What a great package I received in the mail! My good friend, Debbie Q, has finished embellishing one of these wedges for me for my big WIP, a Christmas tree skirt. Debbie does such beautiful work (visit her blog so see more!) so feast your eyes on what she stitched for me! Words fail me so I hope the photos speak for themselves about Debbie's wonderful stitching skill as well as her generosity of spirit! Debbie has a real fondness for her "little girl silkies" and she sent me FIVE along with the block. How sweet is that!? And these cool little stencils as well! My brain is cogitating now on ways to use them - should be fun! Thank you Debbie! 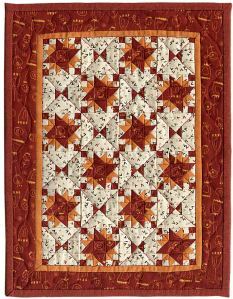 Cranberry Relish is a great name for this quilt because it is definitely yummy! This is one of the quilts up for auction this month on the AAQI website. When you look at all the pieces in this quilt it blows my mind to think the entire quilt measures 8.75 X 11.5 inches! The artist behind the quilt is Martha Wolfersberger of Frenchtown, MT, USA, and she is generously sharing the pattern right now at the Alzheimers Art Quilt Initiative blog for free! You might want to check that out here! "Because that robot had more humanity than most of us!" Oh yes! 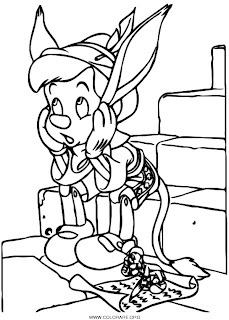 Someone else who longed to be a "real boy"! Well, haven't we all felt like that at times? So, since I'm off on a tangent here - what do you think of where animation has gone since we were kids? A long way! What is your favourite animated feature of all time? It's hard to pick just one, that's for sure. I think if I had to choose one - just one - that I could sit down and watch right now, with or without kids present, it would have to be "The Brave Little Toaster". So, if you haven't seen that one, I'll recommend it to you! In the meantime, while I am getting weaned off my anti-depressants so I can try a new one, I had better avoid animated features with "heart", chick flicks and long distance commercials. They all seem to be enough to push me over the edge about now. I have enjoyed reading posts on other blogs about WIP Wednesday so for this week at least I have decided to jump on the bandwagon! Here is what I'm working on so far this week. Keep in mind please that Dexter ate my glasses so I am leaning more towards craft than art this week again. This gorgeous block was on one of my Christmas crackers in an exchange at CQI. Now it is the start of my next AAQI quilt. So far only one seam treatment and one embellished patch but, hey, it's a start, right? I have picked up a total of five different terracotta shelves with little angels on them at the thrift store over the last couple weeks. I have an idea for a garden in the shady corner by the house - sort of a secret garden idea. So, I thought these shelves would be great to hang on the side of the house with plants on them - something that loves shade and will creep and hang down. So, I am painting them all and hopefully will have them finished tonight or tomorrow morning. I am busy working away on Cathy K's tea time round robin block and these little bits of lace are forming the basis for my work. Just a teaser - when I have it done in a day or two I'll share a photo of it. Other than that, it's just the dresser which I am still stripping all the paint off of. It's coming along slowly but the pressure is on now since my grandkids are coming back from England in a couple weeks and the dresser is to replace the old one in my granddaughter's room. I'm liking this WIP Wednesday - once you start listing things you start to feel like you are getting something accomplished!